Ingredients: lactose monohydrate, white willow extract, elderberry extract, propolis extract, ascorbic acid, echinacea extract, talcum, magnesium stearate. 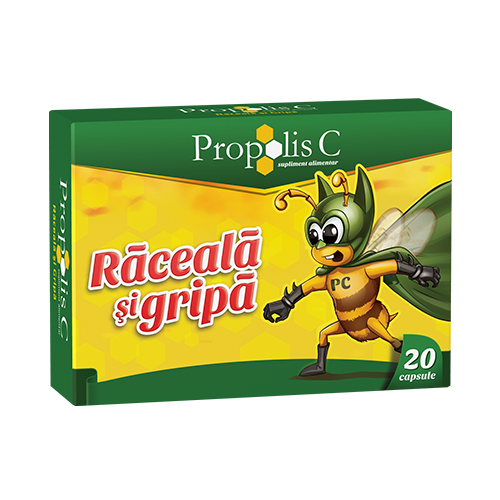 PROPOLIS C COLD and FLU capsules is administered starting with the first signs of cold or flu. - adults: 2 capsules x 3/day. Cardboard box containing 2 blisters with 10 capsules each.